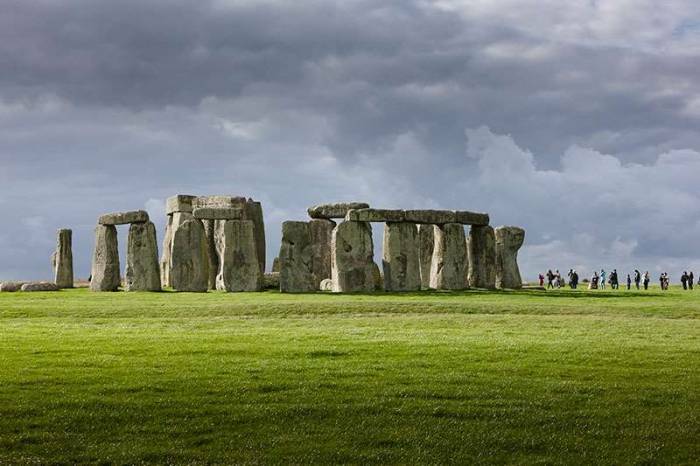 The ancient mystery of who built Stonehenge has been solved, according to a breakthrough study. A groundbreaking new analysis of the 25 cremated remains buried at the prehistoric monument in Wiltshire, England has revealed that 10 of them lived nowhere near the bluestones. Instead, they came from western Britain, and half of those 10 possibly came from 140 miles away in southwest Wales (where the earliest Stonehenge monoliths have also been traced back to). The remaining 15 could be locals from the Wiltshire area or other descendants of migrants from the west. It’s also likely that they were potentially a mix of men and women and that they were of high social status, the new study claims. In all the cases, it is unclear if the individuals died shortly before their cremated remains were transported to Stonehenge, or whether they were respected ancestors who had died several generations earlier. Though the team of scientists – led by researchers from the University of Oxford – can’t guarantee that the remains are of people who actually built the monument, the earliest cremation dates are described as “tantalizingly” close to the date when the bluestones were brought in to form the first stone circle. The key breakthrough was that high temperatures of cremation can crystallize a skull, storing the chemical signal of its origins. While previous studies have concentrated on Stonehenge’s construction – including the sourcing of the stones and their transport from over 100 miles away in modern-day Pembrokeshire – very little has been unearthed about the individuals who built it. The new study, published in the journal Scientific Reports, shows that both people and materials were flowing between areas around 5,000 years ago and that some of these people stayed put in the region. When they passed away, their cremated remains were placed under the ancient monument in what is now Wiltshire. The earliest bones have been dated to about 3,000 BC and then span a range of around 500 years. Co-author Dr. Christophe Snoeck demonstrated that cremated bone faithfully retains its strontium isotope composition. The cremated remains from Stonehenge were first excavated by Colonel William Hawley in the 1920s from a network of 56 pits dotted around the inner circumference and ditch of the monument, known as Aubrey Holes. Hawley then reburied them at the site to be dug up at a later date. “The cremated remains from the enigmatic Aubrey Holes and updated mapping of the biosphere suggest that people from the Preseli Mountains not only supplied the bluestones used to build the stone circle but moved with the stones and were buried there too,” he added.